Once a shining example of the power of socioeconomic inclusion and the effectiveness of strengthening civic participation, the political upheaval in Brazil over the past two years has destabilized democratic gains once thought to be well established. As a researcher who was first drawn to Brazil because of its trailblazing digital rights movement that achieved momentous gains, like the first-of-its-kind Internet Bill of Rights, the unraveling of truly representative democratic representation at all levels has been distressing. But recent moves by the government of Michel Temer that would potentially disfigure the institutions that fostered Brazil’s digital rights leadership are even harder to watch. On August 8 the Brazilian Ministry of Science, Technology, Innovation, and Communication announced the launch of a seemingly mundane month-long public online consultation on the structure of Brazilian Internet governance. The stated objective was to get feedback on the “adequate representation of different sectors that are part of the value chain of the Internet in Brazil and equilibrium among the represented sectors” on the Brazilian Internet Steering Committee (Comitê Gestor da Internet no Brasil, or CGI). However, hidden between the lines of this bureaucratic jargon was an unstated intention to fundamentally undermine one of the most successful examples of pluralistic, multistakeholder Internet governance in the world – the Brazilian Internet Steering Committee (CGI). 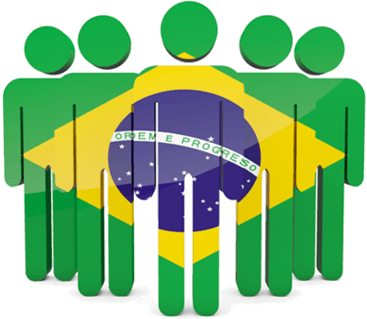 Originally created in 1995 to coordinate the nascent Internet infrastructure and policies, the Brazilian Internet Steering Committee is the body tasked with “coordinating and integrating all Internet service initiatives in Brazil, as well as promoting technical quality, innovation and the dissemination of the services.” The committee’s hybrid nature makes it unique–it includes government, private sector, NGO, and academic representatives who participate on largely equal footing. And while a number of Brazilian government decrees and laws have acknowledged the role of the committee, it is not technically a government body. Rather, its operations are funded through licensing fees charged to register .br domain names. This innovative arrangement gained international acclaim for developing practical policies with broad-base support from a wide array of stakeholders, and it was lauded by Internet luminaries, like Tim Berners-Lee and Vint Cerf, when Brazil hosted the NetMundial forum in 2014. Just a couple of months ago, Brazilian diplomats were still publicly praising the Brazilian model and urging its uptake by other countries. 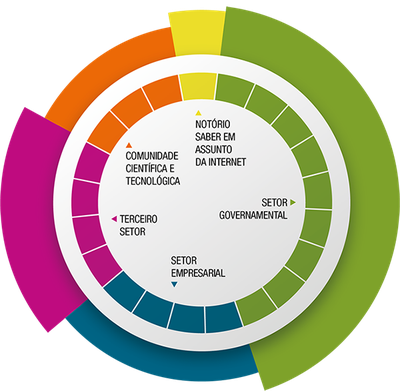 The multistakeholder nature of the Brazilian Internet Steering Committee means that in addition to corporate interests, like telecommunications companies and Internet Service Providers (ISPs), representatives from digital rights and digital inclusion organizations are also involved in setting the agenda. The voices of these NGO representatives as well as members from academia help counterbalance the profit-driven motives of corporate interests that dominate government policy discussions in most liberal democracies. For corporations and their allies within the administration of President Temer, this arrangement has been an impediment to their objectives of boosting the profits of large telecommunications companies. For example, the Brazilian Internet Rights Law of 2014 guarantees net neutrality and tasks the Brazilian Internet Steering Committee with defining how this would work in practice, who would provide oversight, how they could analyze and determine the credibility of complaints, and what government agencies could do to respond to violations. Telecommunications companies would prefer a lax interpretation of net neutrality, which would give media companies they own a competitive advantage over rival content producers. That is unlikely given the current composition of the committee. The current multistakeholder composition of the Brazilian Internet Steering Committee. A structural rearrangement of participants, as the government is proposing, would create an opportunity to place more members on the committee who are involved in what the government calls the “value chain of the Internet.” In other words, the government believes that telecommunications corporations need to have a greater say in the future of the internet. Incidentally, these companies are some of the largest corporate supporters of the president’s political party. Thus, this proposed reorganization is a direct threat to civil society participation in multistakeholder governance in Brazil. Moreover, it would quite likely also portend the gradual erosion net neutrality protections in the country. For the past year, the government has openly stated its desire alter the balance of the committee. Earlier in 2017 it even went so far as to try to block the appointment of the most recently elected representatives from NGOs. The government only backed down when this caused a public outcry by digital rights activists. Now the government has created a public consultation on its reorganization agenda. Observers should not be fooled into thinking that this makes the government’s actions more open or democratic. It is important to note that before announcing the public consultation, the government did not consult with other members of the Brazilian Internet Steering Committee. This shows a lack of interest in a truly collaborative dialogue aimed at generating input and feedback. The consultation is a pro forma effort meant to give the government cover when it tries to implement the changes it has long been plotting. Proponents of digital democracy argue that digital platforms can be marshalled to enhance public participation in democratic governance. Amid a global decline in support for democratic institutions, many contend, myself included, that the way to address the growing “democratic disconnect” is to strengthen forms of participatory democracy that give citizens more opportunities to shape policy. The Brazilian Internet Steering Committee’s leading role in the crowdsourcing of the Internet Bill of Rights is an example of how its work has helped to strengthen democracy in Brazil. This latest public consultation, however, makes a farce of such efforts to foster digital democracy. An attack on multistakeholder governance in one place, is an attack on it everywhere. The Brazilian Internet Steering Committee has been an important defender of digital rights in Brazil. More importantly it has served as a model for a more democratic and more inclusive form of global Internet governance. Whether or not Brazil remains in the digital rights vanguard is now very much up in the air. Not surprisingly, Brazilian activists are fighting back. The Coalizão Direitos na Rede, a coalition of digital rights defenders, has forcefully denounced the government’s actions and is leading an online campaign to stand up for the independence and autonomy of the steering committee. If history is a guide, they will employ their creativity and savvy mobilization skills to generate public outcry once again. In many regards, the future of the global Internet, once more, depends on the results of their efforts. Daniel O’Maley is the Associate Editor at the Center for International Media Assistance. His doctoral dissertation, Networking Democracy: Brazilian Internet Freedom Activism and the Influence of Participatory Democracy, examines how Brazilian Internet freedom activists have used new media and the Internet to foster increased citizen participation in the policy making process.